Provide 1:1 supportive counseling to family caregivers. Refer caregivers/consult with ServiceLink staff when caregiver presents with needs other than supportive counseling. When providing supportive counseling, volunteers must document their work with the client and submit completed documentation to the ServiceLink Caregiver Advocate. 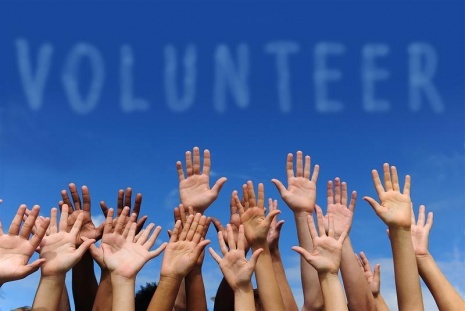 Assist in planning and carrying out of: network social events, education and training programs. Assist in Caregiver Network public awareness events: staffing display table, speaking at a group activity. Qualifications: Individual with a background in working as a family caregiver and/or working with family caregivers is preferred. For More Information, contact our Caregiver Specialist toll free 1-866-634-9412 or locally at (603) 528-6945. Position Summary: Under the direction of the ServiceLink Medicare Specialist, provide volunteer Medicare and Medicare related counseling services to older adults, adults with disabilities and their families. Attend SHIP trainings sponsored by ServiceLink, Bureau of Elderly and Adult Services and/or Centers for Medicaid and Medicare (CMS). Obtain SHIP certification within 6 months of hire. Utilize Medicare.gov website and 1-800-Medicare phone service to research Medicare benefits including Medicare Part D prescription program. Complete necessary documentation for all SHIP activities. Assist in providing public education on Medicare and Medicare related programs to various community groups. Provide 1:1 Medicare counseling services in the office, in the community of via phone. Assist in the development and implementation of public awareness activities relating to Medicare. For More Information contact our Medicare Specialist Toll Free 1-866-634-9412 or locally at (603) 528-6945.
members complete a 20 hour training course instructed by local responders and experts from the field. From directing traffic in floods, to helping to open or manage emergency shelters, the LR-CERT is trained to provide a large spectrum of assistance to local responders. For more information on the LR-CERT program, including the Community Emergency Response training program and application, please see the Lakes Region Community Emergency Response Team page. emergencies. LR-MRC volunteers conduct assessments and triage, staff vaccination clinics, staff emergency treatment centers and support local emergency response partners. Trainings in sheltering, disaster life support, First Aid/CPR, psychological First Aid, personal preparedness and introduction to incident command system are available. 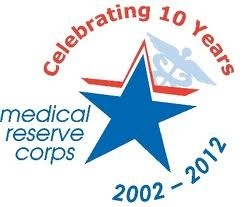 For more information on the LR-MRC program, please see the Lakes Region Medical Reserve Corps page.